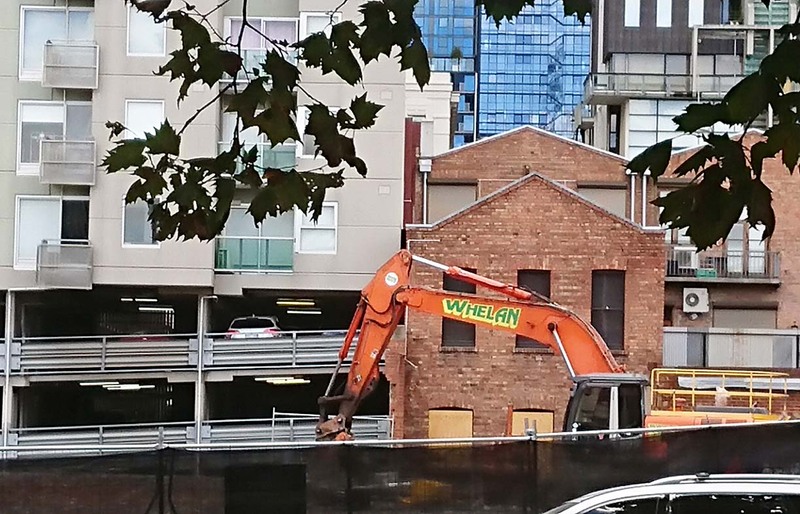 When Jim Whelan began demolishing buildings in Melbourne in the 1890s, his business Whelan the Wrecker wasn’t paid to carry out the demolition. As was standard practice at the time, Whelans demolished buildings at their own expense, but made their money by reselling and recycling everything that was salvageable. Their salvage yard in Brunswick was like many others that peppered Australian cities well into the 20th century. Full of bricks, corrugated iron, timber, windows, doors, mantlepieces and even rubble, such yards were a hive of activity as there was a strong market for secondhand building materials. Not so today. Increased construction and safety regulations and economic imperatives, where the ‘time is money’ culture reigns and demolitions are measured in terms of speed, has seen the rise of a mechanised demolition industry where entire buildings – both residential and commercial – are razed by excavators and other machinery, materials smashed into truck-able sizes and carted off to landfill. Also driving current demolition practices in Australia and shrinking the market further for recovered materials, is ongoing construction innovation and the widespread availability of cheap building products through globalisation. Furthermore, the residential sector has become increasingly corporatised, with much new housing becoming off-the-shelf products through the uniformity of design, materials and construction methods. As awareness has increased about waste and its environmental impacts in Australia however, calls are growing for a new approach to the removal of buildings deemed past their useful life. With conservative estimates of construction and demolition waste comprising around 40 per cent of Australia’s total waste stream into landfill and little regulation currently governing the sectors, construction and demolition (C&D) waste is a giant issue, negatively contributing to our environmental and carbon footprints. Deconstruction rather than demolition is increasingly viewed as a way of beginning to close the waste loop. It’s becoming recognised that the recovery, recycling and reuse of salvageable building materials is essential to the reduction of our waste burden, but also eventually that the recovery and use of recycled and repurposed materials in new-builds will all contribute to a project’s environmental credentials. Bringing about substantial shifts in the culture and practices of the sector is no simple matter. A scan of demolition company websites across our capital cities reveals site after site promoting their investment in earth-moving equipment and claims of expediency through the demolition process. Lack of regulation or enforcement – apart from safety standards and hazardous material handling – has created something of a little-monitored, free-for-all culture in the industry. In parts of Europe and North America, where the transition into deconstruction is much further advanced and the conversation now centres on policies to build a circular economy for the C&D sector, substantial amounts of waste still reach landfill (or backfilling on construction sites) as the bottom line issues of speed and profit remain dominant drivers of the construction industry. But there are some bright lights emerging in Australia. Acting ahead of government policy and regulation are a small number of firms dedicated to deconstruction or offering this service as an option alongside standard demolition. One such outfit is Hobart’s Resource Work Cooperative. 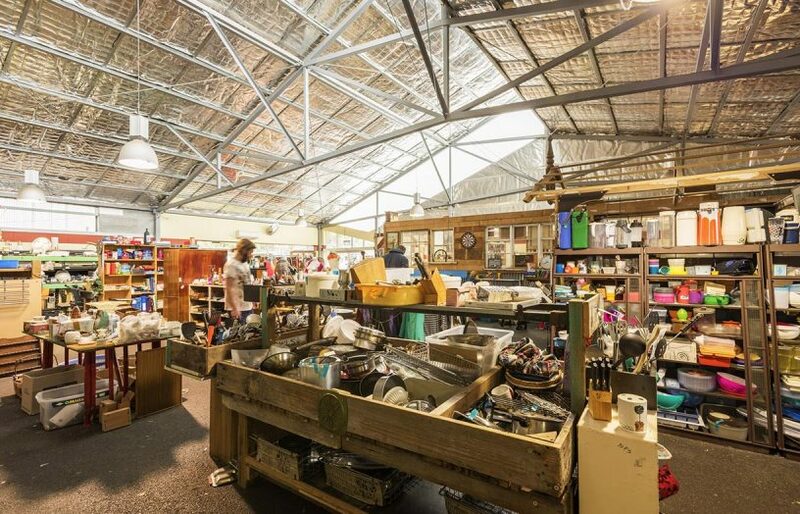 Founded in 1993 by five friends to salvage and resell usable items and materials from the city’s main garbage dumps, the group has expanded their activities and services well beyond the ‘tip shop’ centerpiece and has grown to become Australia’s largest not-for-profit work cooperative. The seed for a deconstruction arm of the cooperative was sown several years ago when they won the contract to bring down a large apartment building in central Hobart. From this grew the idea of an urban salvage service where skip bins would be placed on traditional demolition sites with the aim of funneling salvageable materials and building components into the skips and back to the tip shop for resale. Hobart’s Resource Work Cooperative has 32 staff and has become the largest not-for-profit work cooperative of its kind in Australia. It runs a tip shop and urban salvage yard, and now offers a full building deconstruction service. During 2018, former construction project manager Rebecca Ramage was employed as the cooperative’s first full-time deconstruction coordinator. Charged with growing the deconstruction arm and competing against traditional demolition companies for contracts, three projects have now been completed, with several more waiting for approvals before work can begin. 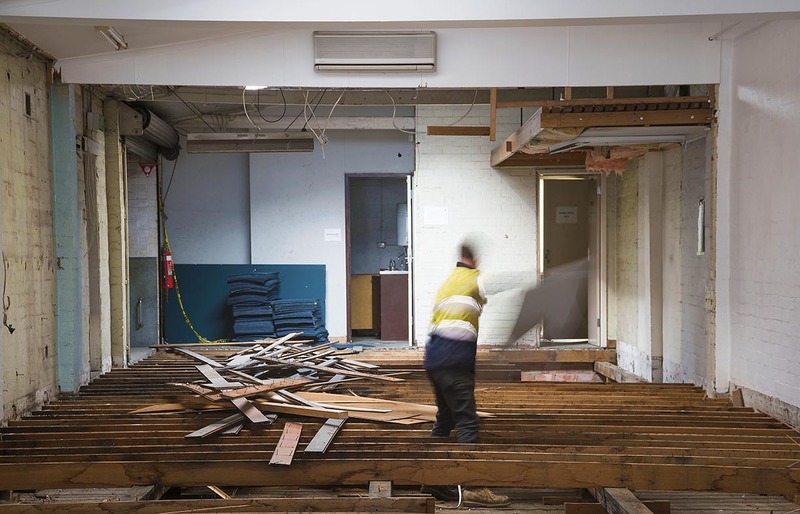 The cooperative works closely with the Hobart City Council and last year was contracted to take up and resell 1180 square metres of historic floorboards from Hobart City Hall before new floorboards were laid. “The council is coming under increasing pressure from the public to recycle materials from their buildings,” says Rebecca. “There’s enormous interest in goods that have a history. Tanks were parked on those floorboards during World War Two and so many people have memories of gigs they’ve seen at the hall. We even found old boots concealed under the floor, following a once widely practised superstition to ward off evil spirits. 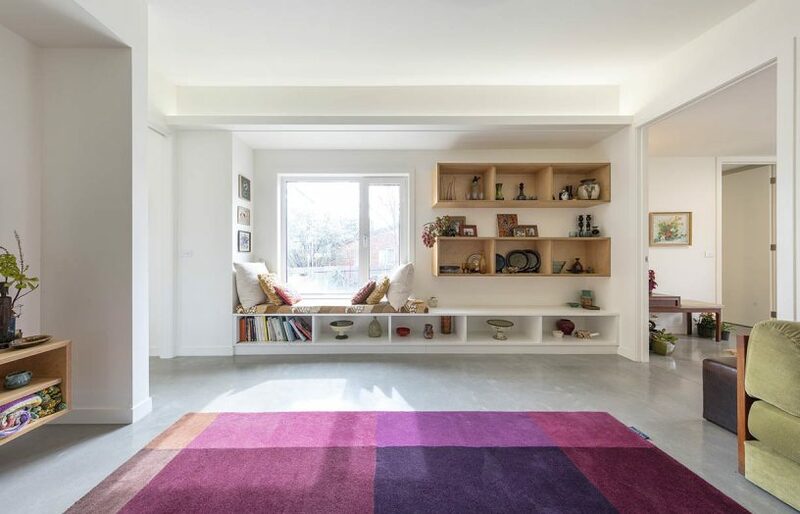 “We’ve sold every metre of those floorboards, so great was the level of interest”, says Rebecca. The cooperative is now in talks with the Tasmanian education department about 80 potential deconstruction projects. “They’re very interested in the concept, but we’re not sure whether we’ll come onboard as the principal contractor, or sub-contractor,” says Rebecca. She says that in competing with traditional demolition companies for contracts, the main difference is time rather than price. 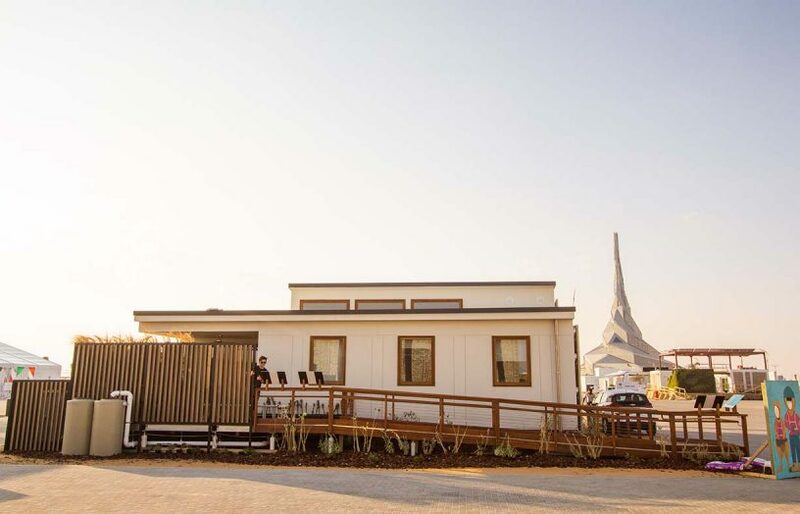 “For us with a crew of seven or eight people, it will take two to three weeks to deconstruct a three-bedroom house and reuse, upcycle and recycle up to 95 per cent of materials, as it is largely done by hand. Whereas demolition will take only one week from start to finish using large machinery, with almost all materials pulverised and taken to landfill. But they’ve got their blank canvas to start building on,” says Rebecca. Both Rebecca and Molly cite the greatest barriers to deconstruction becoming more widely adopted in Australia as a lack of government policy framework regarding demolition and deconstruction, little enforceable regulation and monitoring of activities and an accompanying informality to the sector. “It really is a secret world. Very little is known about how much is actually recovered or goes to landfill from demolition sites,” says Molly. 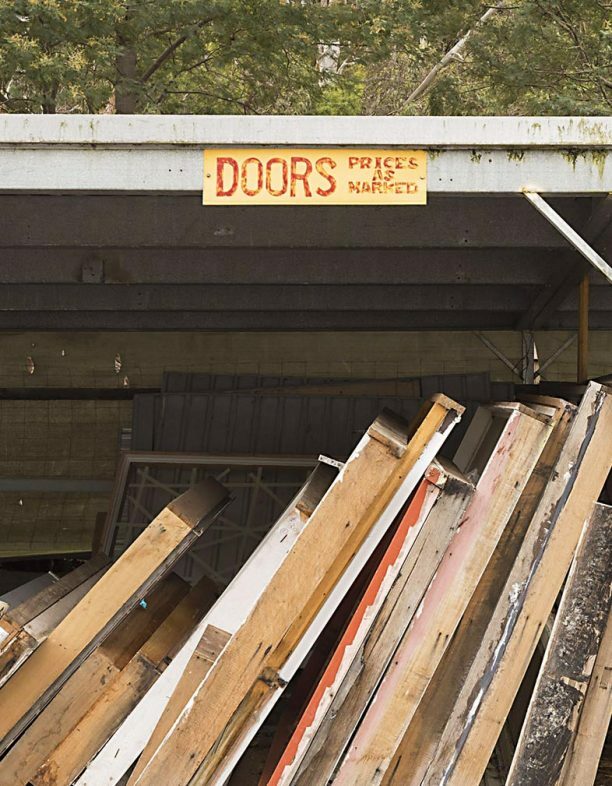 The Resource Work Cooperative Deconstruction team secured the contract to remove the old boards from the Hobart Town Hall when it was redeveloped; the boards were then available to purchase through the McRobies Gully Tip Shop. 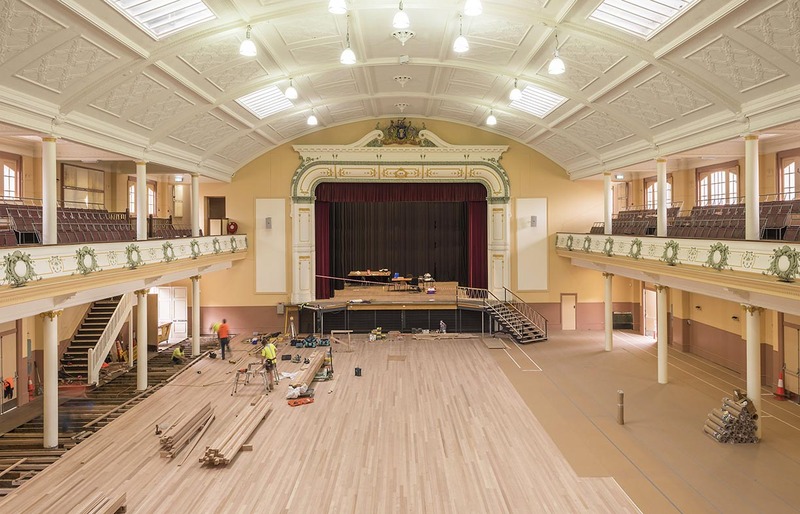 As part of the renewal works at the Hobart Town Hall, new 32mm Tasmanian Oak hardwood boards were installed to create a highly functional and long-lived floor. Associate Professor of Architecture, Design and the Creative Industries from the Queensland University of Technology, Phillip Crowther, agrees. While he says that the main barriers are still time and cost in an era where, more than ever, the construction industry is most concerned about “quick and cheap”, a policy vacuum means Australia is lagging behind Europe and North America in transitioning toward deconstruction and a reduction in C&D waste. “In general, government policy is neither helpful nor encouraging, and it is still too easy to simply throw building materials and components away,” he says. Phillip Crowther focuses his research on the embodied energy of building materials and components and how designing for future deconstruction can help recover that embodied energy. He is concerned little substantial change will occur without government intervention. “If Australia is to catch up with best practice overseas, we definitely will need some legislation to ‘encourage’ the industry into deconstruction, reuse and recycling,” he says. 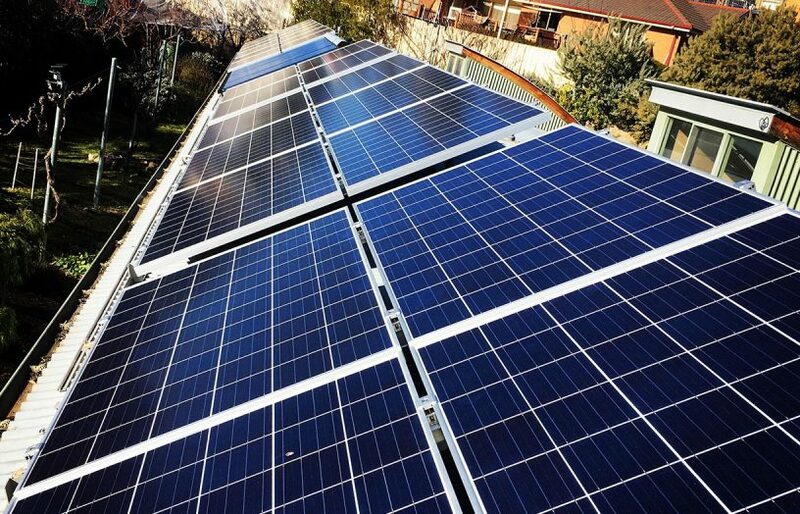 In parts of Europe and North America, governments have come onboard with encouraging and even mandating deconstruction, with targets for reuse and recycling developed. In 2008 The European Commission (EC) established a target of 70 per cent of C&D waste to be recycled by 2020. To help industry move toward meeting this target, the EC has developed guidelines for conducting mandatory waste audits that are now undertaken prior to deconstruction work beginning. This process not only helps contractors determine what is reusable and recyclable, but importantly, the monitoring regime where the materials and components are traced and documented is helping compile an extensive inventory over time. In much of urban Australia, heavy construction materials, including glass and steel, concrete and bricks, have been effectively diverted from landfill and recycled into new materials, including aggregates for construction and road bases, through deterrents such as landfill levies. In Victoria, industry has largely responded to these price signals and now upwards of 80 per cent of C&D waste is diverted from landfill. This still means however, that one million of the five million tonnes of C&D waste produced annually in Victoria ends up in landfill. 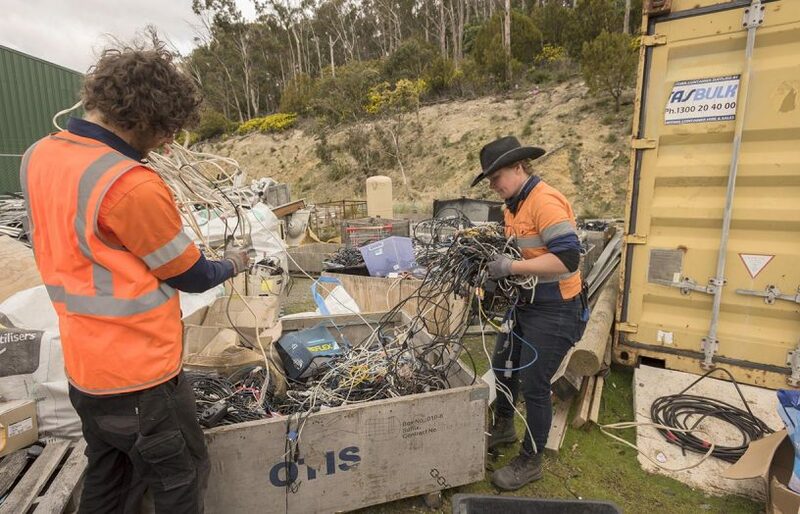 According to Sustainability Victoria’s Director of Resource Recovery, Matt Genever: “the remaining million-plus tonnes of C&D waste making it to landfill tends to be mixed waste, and this is where discussions begin about deconstruction versus demolition. “Ideally, you want to avoid those mixed waste streams where you’ve got large skip bins full of a whole range of materials, as that can be expensive and difficult to separate. That’s when you get the opportunity to encourage greater recovery if you’ve got the timber with the plasterboard, for example”, Matt says. 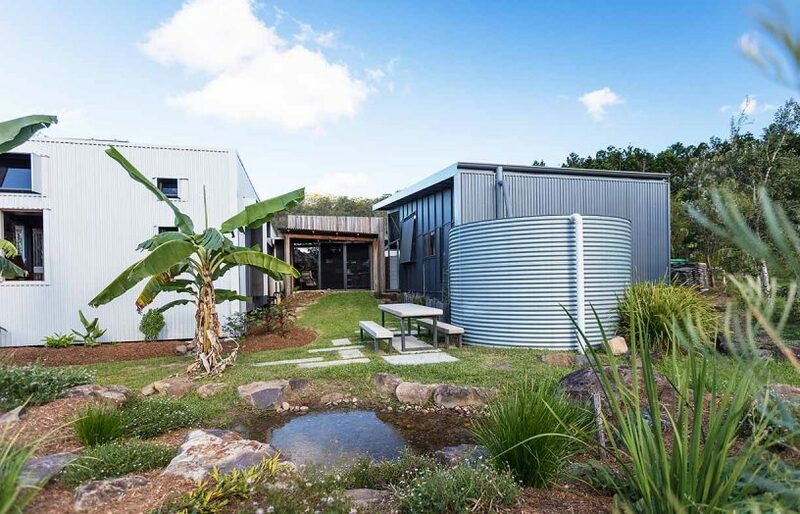 Where those markets are sadly lacking at anything above a fringe level is with the components of buildings, or what Hobart’s Resource Work Cooperative aims to recover and resell – windows, doors, kitchens and porcelain, for example. The challenge ahead in genuinely working towards a circular economy model in the C&D sector is that construction products are designed with deconstruction (or end of life) in mind. In fact, designing for deconstruction to responsibly manage building materials at the end of their life and therefore minimise the consumption of raw materials, is rapidly entering mainstream architectural considerations after emerging in the world of green architecture. Only when we adopt the principles of design for deconstruction can we really talk of a fully circular construction and deconstruction economy. Australia has a considerable challenge ahead in confronting and changing our values and practices around buildings at the end of their useful life, but if we are serious about reducing our waste burden, it is a challenge we cannot ignore. If Jim Whelan were alive today he most probably would have agreed. 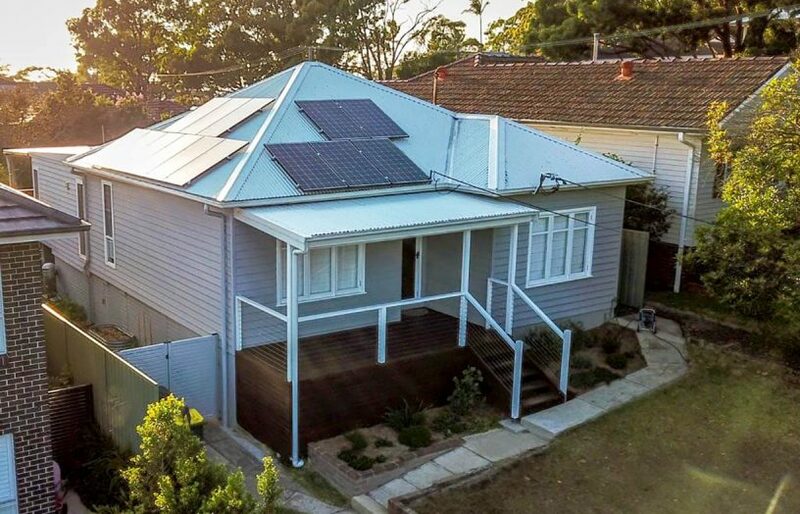 Price is right: Is the market finally ready for energy-efficient design? 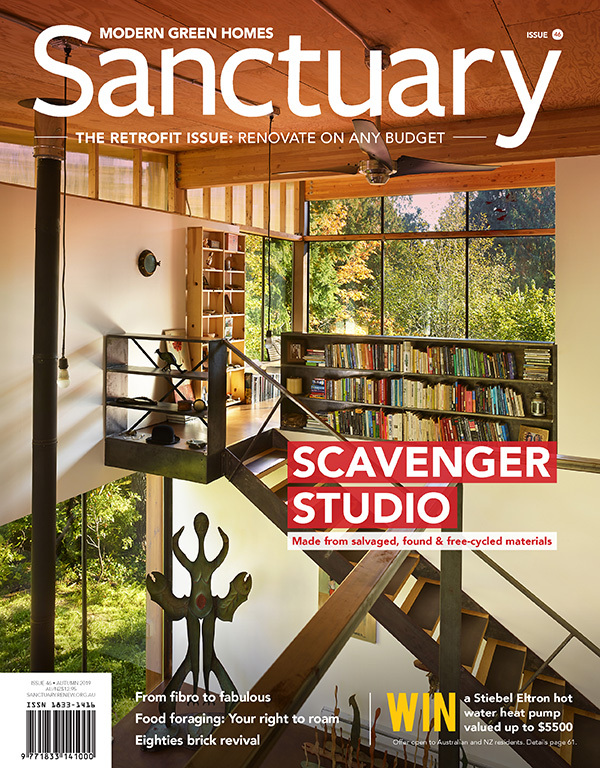 At Sanctuary we often hear from people struggling to build energy-efficient homes, without paying through the nose. We quiz trailblazing businesses on how they are delivering quality at affordable prices, and what they’re doing that’s different to the rest.